dinesh wagle: Just before the vote. election day. 19 nov 2013. My name is Dinesh Wagle. I am a journalist by academic training and work experience. I analyse politics for a living. I have worked for several Nepali publications including Kantipur and The Kathmandu Post, both national daily newspapers. During my last year as a fulltime journalist at Kantipur, I led a team that produced the Saturday edition of the paper. Before that, as the paper’s New Delhi bureau chief from Nov 2008 to Feb 2011, I filed stories and columns for Kantipur and The Post (and Kantipur TV and Radio Kantipur) on Nepal-India relations, Nepalis in India, and Indian politics and society. I was born in Ramechhap, eastern Nepal. I live in Kathmandu. 2. The Motorcycle Diary: Nepali Version! I am also a blogger who started what everyone later found out to be Nepal’s first blog site. Quite a few national and international media (new and old) have noticed that. Not so long ago, many blogs were not unlike LiveJournal diaries: all personality quizzes and LOLs, but the form is versatile, it’s developed, and some bloggers are getting serious. Very serious. And outside of the West, that change has been fast. A good example is given by Dinesh Wagle, who set up Nepal’s United We Blog! resource. United We Blog was launched only last October by a group of journalists who write for the Kathmandu Post, Kantipur Daily, and Nepal Weekly. 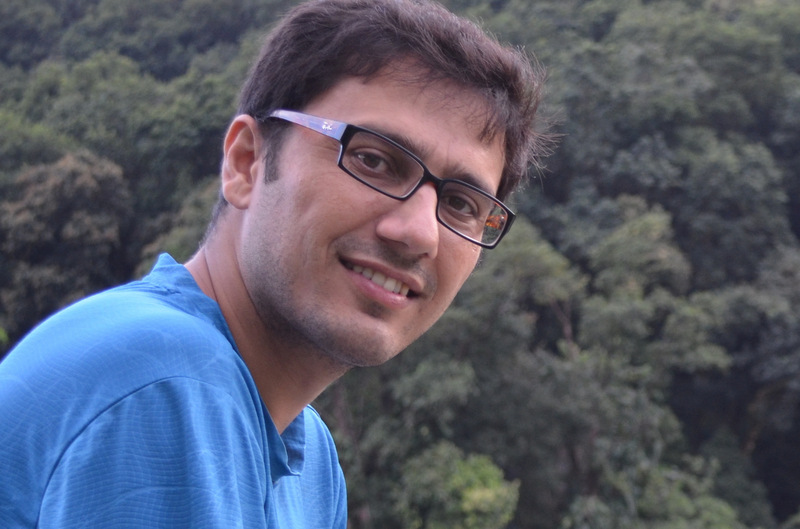 The blog’s co-founder Dinesh Wagle, 26, is a gregarious Kantipur Daily reporter who covers technology issues. His crusade to get Nepalese journalists to blog has made him a leading figure in the nascent Nepalese blogosphere, and United We Blog has gone from a personal forum to a much more politically charged outlet. Journalist. Blogger. Activist. All three labels describe Dinesh Wagle, whose blog United We Blog!, has literally changed the face of journalism in his native nation of Nepal. Journalists in Nepal are going hi-tech to sidestep tight censorship imposed after last month?s royal coup. Outspoken web logs, or blogs, are springing up and being widely quoted and linked to in the blogosphere, the mushrooming cyberworld rapidly establishing a place for itself as an alternative source of news and information. “I feel that our very own survival, intellectually and mentally, depends on freedom,” says Dinesh Wagle, a newspaper journalist who runs United We Blog! (www.blog.com.np). just wondering where your family comes from. there aren’t many wagle’s around. Seems you are very busy with other things than this blog right now. I just wanted to say I am enjoying your recent articles in Kantipur. I appreciate if you would kindly mail me New national Anthem of Nepal, just could not download from nepal post news. Your article about new national anthem was interesting. Getting around your blog hasn’t been much time. But oh! it is you who raised my interest in blog. Remember your reference in Kantipur daily? Much interesting are your articles in Kantipur. I remember your comment on purchase of Wall Street Journal by the ‘media samrat’ Mr. murdoch. It was a typically organized one. I love the way you raise, clarify and customize your presentation on any topic. Another really impressing one was the ’sayaun thunga ..digital mala’. Thanks. I am a regular reader of your articles published in kantipur daily. You hava a typical style of writing with simple language which is attraction for me. You are one of those writers who really sense the matter in depth and present own view. Keep it up, Wish you all the best. tapai katako Wagle ho?? cause i am also wagle yaar. well i have been reading you and found like the shankar lamichane style of writing. they are great yaar. you ahve encouraged me to write too. hope to hear from you. I m regularly read your artical n enjoy with your word expeession. its always my pleasure to read your writing. I bought the world is flat and read it by seeing your book review on kantipur. Thanks for that I really changed my thoughts after reading that book . I’m a regular reader of your article which are published in katipur . Your writing style is also great.And your blogs are also running well.Keep it up.However I’ve also started blog,if you are not so buzy, look it once.Because you are the source of my inspiration. Yes it is. I’ve read ur many article releated to web,blog, technology etc.After reading your article I came to know that blogs have reshaped the world of web.So, I’m also interested and started, but it’s quite tough for me as I’m not so much familier with the content of blog,rules and regulation.Any way, I bloged at blogger. tis ur world that’s sharing a special message, a special news,a special meaning n bringing a special smile.I dint know whenever i enter to ur world of words,I gonna be lost there n found myself loving ur style. Simply Impressive! was the first word I uttered once I was through your blog. Should have posted a comment long ago if had an opportunity to. Anyway “Its never been so late”. I appreciate your work and would like to thank you for updating with the news to those who are away from their country. 1st time i entered into your personal site…found palatable..byline is decorated with good nepangreji words..keep it up man..i became doctor after coming here @ktm from ur adjacent district Dolakha…you too came into lime light of journalism…..maintain the stature by any form of sweat and toil…keep going ur pen.. keep on smiling..
i read your article regularly and appreciate your method of storytelling. when will you published yours new article in street journal? I like to read yours article. can you write something about abroad study of Nepalese youth? Hope you will write soon!! In Nepal, lots of journalist and publishers working with the main media. I just wanna say you that you are not only write your article to live up the journalism but you write for the live up the life of people also. Your occupation and hobbies are’nt be for the negativity. You are the first journalist who really inspired by the positivity. I don’t wanna see you in any negativity in your article coz you never be going to meet with negative person. Lastly; unknowingly i’m one of your best friend and fan, come and lets join with me whenever you want. aajkal mero 5 Rs tesai kantipur kinn ma kharchh vaeraheko 6 dai. kinaki tapaiko artical hoodain . k ab lekhna chhadanu vayeko ho? ki hami jasto padaku harule tension diyer lekhan band garnoo bhyeko. je hoss aaune sanibar chai tapai ko artical chahiyo malai la. kunai subject 6ain vane ma vani diula ni hoonn. ok tapai ko kunai comment 6 vane plz welcome 6 mero ma pani…………. soory 4 any thing……..
You have great talent and professionalism in journalism. I am impressed with the quality that you have kept for your blogs. But the name WSJ for Wagle Street Journal sounds like Wall Street Journal, and I am afraid if people take it as a copied version of the later. It would be great if people like you start thinking in creating own brand and not copy others. How many times you jump here and there, Nepali media has limitations. That’s your on time right decision, to accept the int’l journalism. I always read your article in Kantipur it’s so interesting, especially your SAILI. And your blog, since Jana Aandolan-2006, when I was in Indonesia. Today I got a time to read your blog and came to know that you are posted in New Delhi. It’s good for your carrier. Do the ethical journalism. i love to read all your articles and i find all of them great.on every saturday u post something in kantipur,which is always great to read.today i am requesting you could you please write something about “CALL CENTER”.I AS A STUDENT 0O GRADE 11 DOESN’T KNOW WHAT EXACTLY HAPPENS IN A CALL CENTER,WHAT IS ITS WORK AND IS THERE ANY CALL CENTER IN NEPAL OR NOT.AS FAR AS I DO KNOW THERE IS NO CALL CENTER IN NEPAL BUT THERE ARE A LOT LIKE GROWIMG MUSHROOM IN RAINY SEASON IN NEWDELHI SO COULD YOU PLEASE WRITE SOMETHING ABOUT CALL CENTER .IF U COULD I WOULD LOVE TO READ IT. Hi bro…..how is ur life going on in Delhi?i like ur articles but nowadays i haven’t seen ur articles related to information technology.hope u ll continue to write regarding this fiend also…..
foto ramro 6 ji. u look happy…………. actualy i’ve bn readin ur articles for quite a lon tym, n let me tell they’ve alwaz bn interesting. though this is the 1st tym i’m writing 2 u. well, wud luv reading more from u.
since u r in india, wud luv 2 read a lil more abt chandani chowk(though u’ve posted article on chandni chowk months back), but i thnk it msd the religious side of the place. hey been so long….. nothing new. You are doing great Dinesh. I simply love your articles in Koseli and Kathmandu Post. Keep up the good work. I keep on checking your posts.. I find them very interesting…may be because i too am a Nepalese student staying in india.. The way you describe india and compare the same in terms of Nepal is so true..
Why dont you visit some Indian colleges where Nepalese students do study and then write about them, what they feel about staying in india, whats their opinion about Nepal… i mean would they love to be back to Nepal or wont mind staying in india only!! Anyways…love to read more of your posts!! I will try to do as per your advice. Plz do check my earlier articles about CA students in Laxminagar and Sanskrit students in Varanasi. Needless to say I regularly go through your articles and that I like them a lot. We need more people like you to address us. Infact our generation of youngsters (refering to those born late seventies to early eighties, got educated at prestigious schools either in Darj., Dehradun, Kathmandu, or from Biratnagar, Dharan, Damak, Birtamod, Birgunj, Hetauda, Bharatpur/Narayangarh, Butwal, Pokhara, Bhairahawa,Nepalgunj and Surkhet), are the ones who are feeling left out of everything. Why? 1) We vividly remember “46”. Most of us were kids and thus we grew up with new democratic nepal. 2) Most of us are bahuns and chhetris from middle and upper middle class. Almost all of us have our own homes with plenty of ancestral land in our “Pahad ” and also in “Terai”. 3) Our parents are wealthy pahade bahuns who were lucky few to passout from school during Panchayati era and holding a governmental posts from khardar, subba upto Adhikrits. Infact some of our parents are the 1st generation of doctors, engineers, (read overseer) lecturers in nepal. 4) Those from richer families (businessmen, lahures, government secretaries) went to Darjeeling or Dehradun or our own Budhanilkantha and Xavier in Kathmandu for studies. Most of us were the fresh batches of newly opened so called “English Medium Boarding Schools” by Darjeeling and Assam returned nepalese, in cities mentioned above. 5) We woke up with “Jai Jai Kali” of Radio Nepal and were those who frequently listened to “Ghatna Ra Bichar” though we couldn’t figure out everything. National Television was also a kid then. “Ramayan, Mahabharat, Oshin, Biman Chaalak, Twakka Tukka, Saturday movies, Pakistani serials” were favorites. Then we grew a bit older. We were teens now and this was when cable TV had conqured our homes. Nepali Pop, English Pop, Rock, Blues, WWF ( Not “E”) were part of our lives. WE WERE THE LUCKIEST TO HAVE GROWN THIS WAY. NO NEPAL BANDH NO MAOIST NO FEAR ABSOLUTELY NOTHING. 6) We had no fear. Our dreams were few. We wanted to be singers, wanted to have our own bands, wanted a bike and …….. thats it. And our parents wanted us to be Doctor, Engineer or Pilot during all the “AASHIK” of wonderful dashains gone by. They wanted our female members to get married to a decent guy from a wealthy family. THEN SOMETHING HAPPENED AROUND US. Thank you. And very interesting observation. The current instability in the society has come as an obstruction to our progress for sure and, more than anyone else, Maoists are to be blamed. But one should also not forget that the Maoist movement brought about some really positive changes in Nepali society. People have become so much aware politically and socially about their rights which is a great thing in a democratic society. But then so many bad things came along…which is terrible. 7) We were pretty sure of what we were supposed to do. Pass out of school (1st div and nothing less), ISc. (+2 colleges were limited in ktm only),then eng or mbbs. The point is “Abroad Studies” was nowhere in our menu. 8) During higher secondary days the insurgency took pace. Things started getting complicated. Those were the days when during a journey from Biratnagar to Ktm, one had to get his luggage checked at more than dozen checkpoints. 9) Let us look back at some notable events that unfolded, just when we were overwhelmed of new millenium:- Maoists’ 1st major attack, Hrithik Kanda, Royal Massacre, Nepal Bandhs and conflict in Nepali Congress Party. It was getting worse. yo tapaai ko blog padhe pachhi thaha chha k vayo? ma administration and it ko student tara photography padhne rahar jagyo. tyo makai ko hgoka ko junga sarai ramro lagyo. Rahar pura gari halnu parchha Roshan. Start clicking. ur witing is so influencial and some how interesting. keep on writing bro. dai ma tapaiko article haru bata nikai nai impressed bhko 6u.tara aajkal kina ho dai ali kam bhako chha ni?ani dai ma pani jourlaism ko student bhako karan le tapailai euta advice magdachhu.feature writing ko lagi especially kunai book 6 bhane refer garnu na dai. I have been trying to publish an article in Kantipur daily ,the most popular national daily of Nepal but don’t know how to post my article . could you guide me ,please? I am a regular customer of Kantipur and kathmandu post . I have several time gone through your article here. your skill is seems quite praise worthy . I like your indeaviours to aware us . Please email your article to kanti (at) kantipur.com.np. mero articles haru pani cha ,ma dheri online optimization haru ma lekchu. tyo hajur sanga ka sahre garna ke kasari garnu parcha. miti 10/03/2068 ma hajur le internet sanga ko suruwata lekh ma hajur le mero suruwata ko din haru ko yaad garnu vayo. first blog maile tripod ma blog vanako tiye , tespachi geocities.. now ma blogger, wordpress ma kamgarchu. Geocities le sewa banda garda naramelo lagyo. Gmail ko first time invite maile usa ko santi sanga mageko tiye.. tespachi hajur ko jasti sabi sathi harulai invite gare ani famous pani vaye..
Dai, hami jasto Internetholic haru le kasari Intenet ko Sadupayo garne vane varema Articles payo vanne ramro huncha. Dai Piracy ko vare ma articles leknu paryo. [Must need to all the Teenage fren who download from torrent sites]Cyber law implement vako cha so. hajur ko blog Follower …. Mr. Wagle, i am not a news reading type of guy, but I have just saw pictures that were taken by you and those were very nice. Keep it up. I really appreciate your work. I read your article in Kantipur your simple presentation of language is very impressive. Thank you, Hanna. Your story is interesting.